A loyal bodyguard and warrior to the Son family. While normally calm, she becomes hotheaded when someone questions her loyalty to the Son's. 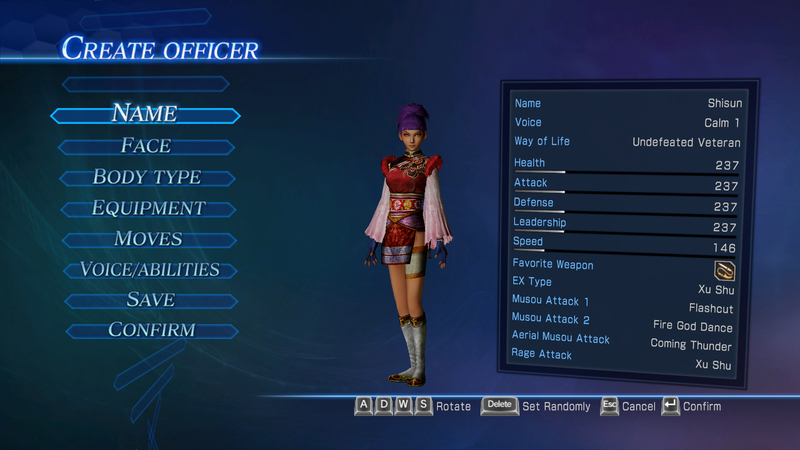 In Shin Koihime Musou: Otome Tairan, she served as Ashe's commanding officer, assigning her to be Renfa's bodyguard. She was furious when Ashe almost failed to protect Renfa when a thief snuck into the palace storeroom and Renfa was the one who subdued the thief. 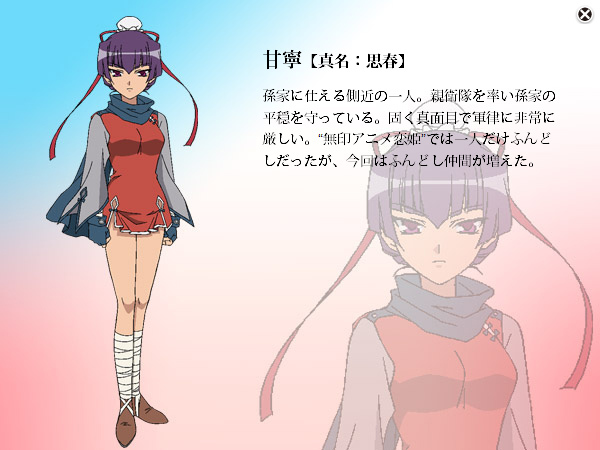 Even though Ashe redeemed herself by preventing an assassination attempt against Sheren, Shishun discharged her from her unit by telling her to relinquish her fundoshi, the symbol of her unit. However, it was revealed that Shishun requested Meirin to take Ashe in as an apprentice strategist to Renfa, feeling that Ashe is more suited as a strategist rather than a bodyguard. 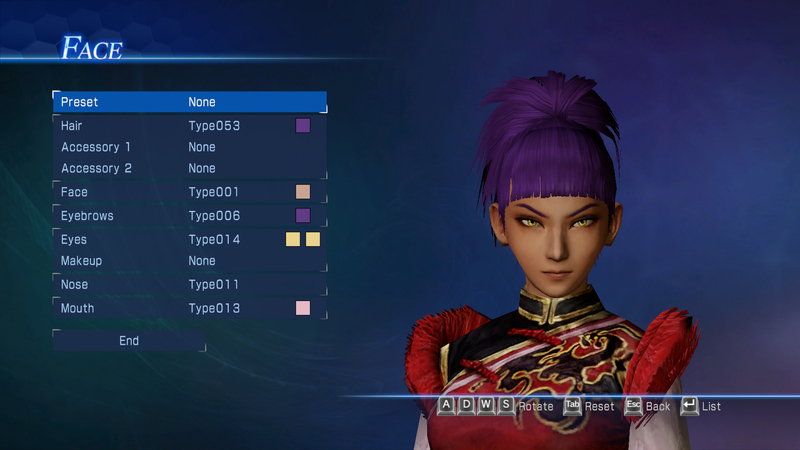 Little tough to make due to the limited palette of DW7:E for clothing.